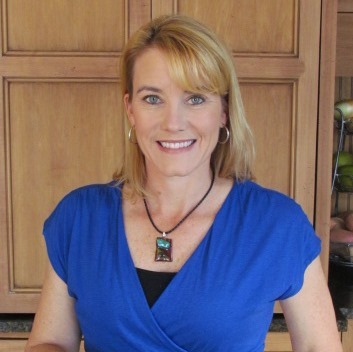 The Augusta Metro Chamber February Women in Business luncheon will feature Kimberly Beavers, registered dietician nutritionist, author and speaker. Join the Chamber and presenting sponsor Hull College of Business, AU on Tuesday, February 19 at the Legends Club for ‘Powered from the Inside: Maintaining a Balanced, Healthy Lifestyle.’ Ms. Beavers will share a focused and strategic approach to overcome obstacles for a balanced, healthy and energized lifestyle. According to a 2018 IFIC survey on Food and Health, among the top three benefits sought from our diet is increased energy and brain function; but, over half of us are also confused with the abundance of information and options available making us doubt choices in the pursuit of a healthy lifestyle. Factor in time constraints and being pulled in multiple directions, as well, and it’s increasingly difficult to maintain a balance. The afternoon’s guest speaker, Kimberly Beavers, is a Registered Dietitian Nutritionist at University Hospital. Ms. Beavers specializes in wellness, diabetes management and culinary nutrition. Additionally, she is the co-host of Eating Well with Kim on WRDW where she translates nutrition recommendations into actionable steps and delicious food. The luncheon begins at 11:30 am and tickets are $30 for Chamber members, $40 for prospective-members. Advanced registration required at AugustaMetroChamber.com. Deadline to register is Friday, February 15. For more information, contact Sabrina Balthrop, Director of Events, at Sabrina.Balthrop@augustametrochamber.com or 706.821.1300.